Laser micro-machining on PCBs requires that materials are either cut through, partially cut through, scored or marked in a very precise and repeatable fashion. BEST has the capability to precisely machine your PCB assemblies and components for marking, rework or production requirements. BEST's laser tools are micro-machining systems with a broad range of capabilities. BEST has a variety of laser micro-machining sources including CO2, YAG and green laser source with a variety of beam delivery and machining tables. Feature sizes down to 10 microns are possible with these systems. Materials which can be processed by BEST for laser micro-machining include but are not limited to plastics, glass, wood, thin films, metals, ceramic and other organic materials. We can take in a variety of file types including GERBERS, AUTOCAD, jpegs, tiff and giff and other file types. BEST laser systems can both mark and demark letters, symbols and graphics on boards, components and housings. Marking of parts may need to occur for tracking purposes while the demarking of parts may need to occur for protection of intellectual property. BEST Inc is the best source for Laser Wire Stripping projects. This stripping technology was developed in order to reduce the risk of damage to both conductors and insulators using other wire stripping methods-especially mechanical methods. There are numerous benefits of laser stripping compared to other stripping approaches that have helped this technology gain favor. 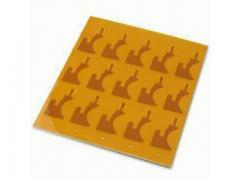 Lasers can be used to depanel individual PCBs from panels. In addition laser depaneling is often used when very tight tolerances are required for PCBs such as when there is very little room in an enclosure that the board is fitting in to. For the ioT applications very small boards in a variety of non-traditional shapes may need to be precisely cut to fit into enclosures. BEST Inc. can be your partner in medical device laser machining. We can cut holes, do precision laser machining or precision marking of a variety of materials including plastics, metals and more. Defining new pads for rework through selective mask removal on PCB's. There are instances when a rework has to be performed when solder mask needs to be removed selectively from different portions of the PCB. Laser methods have the advantage of control, cleanliness and precision over other traditional mask scraping techniques such as mask scraping and micro abrasion. Flexible circuits can be laser drilled or laser skived to produce through vias, blind vias or to remove dielectric material and expose conductive pads or fingers. Since the wavelength of the CO2 laser is tuned for plastics and polymers the stripping of insulation from wire or ribbon cable is a natural application for this type of laser. 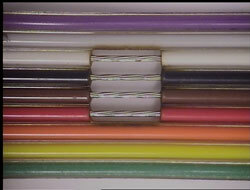 The metal wire strands serve to block the rays without nicking or marring the surface of the metal strands. For more precise insulation stripping the 355nm YAG laser can achieve very precise stripping or window pane stripping of cables. BEST is your source for micro machining in the electronics industry. We have many years of experience and many different laser sources to draw from. We know how to handle electronic assemblies as we also provide PCB rework and repair services. From precision pad definition to part marking or even board depanelizing for someone producing electronics or sub-assemblies call BEST to see how we can assist you in getting the project done.